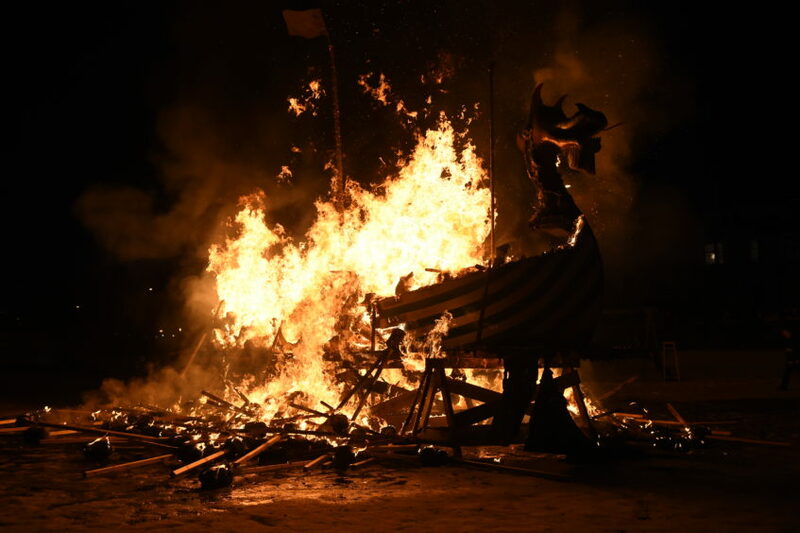 A unique sight to see as a huge Viking galley is hauled through the streets of the small island town almost as if on a river of fire. 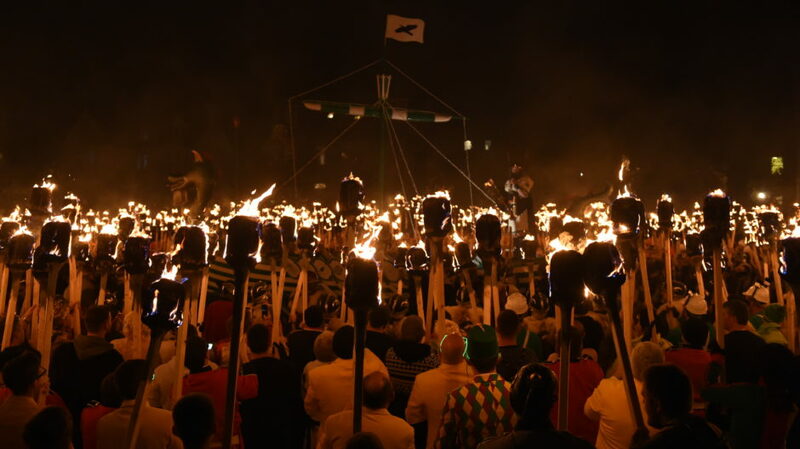 With near 900 guizer voices singing the galley is set alight in magnificent fashion. 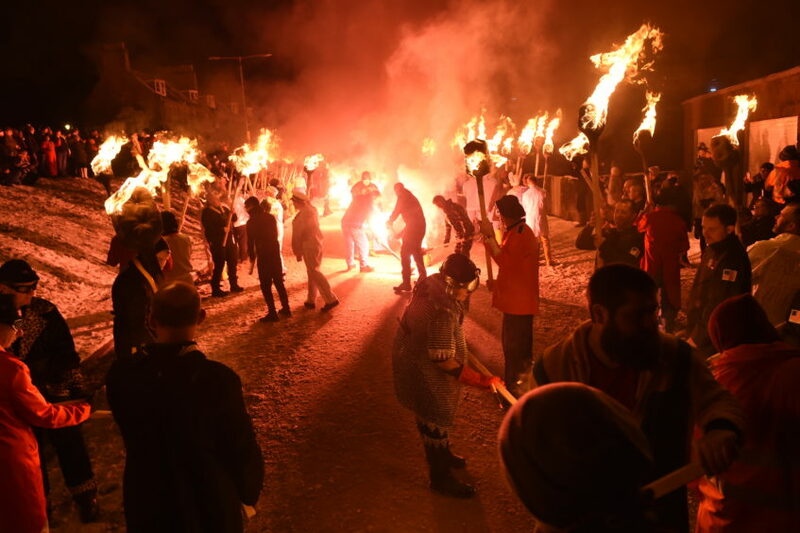 It’s Shetland’s biggest fire festival and is organised entirely by volunteers all year round, and the majority of these proceedings are said to have remained intact since the 1880’s. 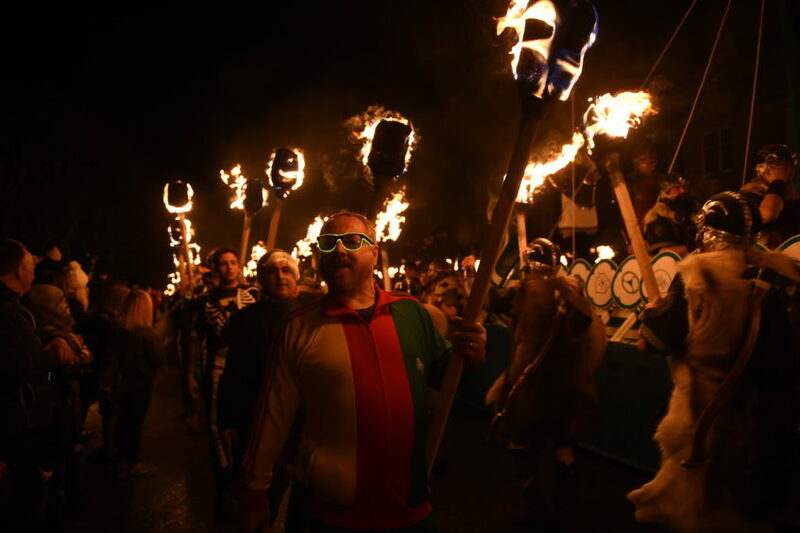 The festivals roots date back to the Napoleonic period when rival groups of Lerwick youths dragged sledges with burning “Tar Barrels” on them through the town, with each squad collecting their barrel secretly weeks in advance. 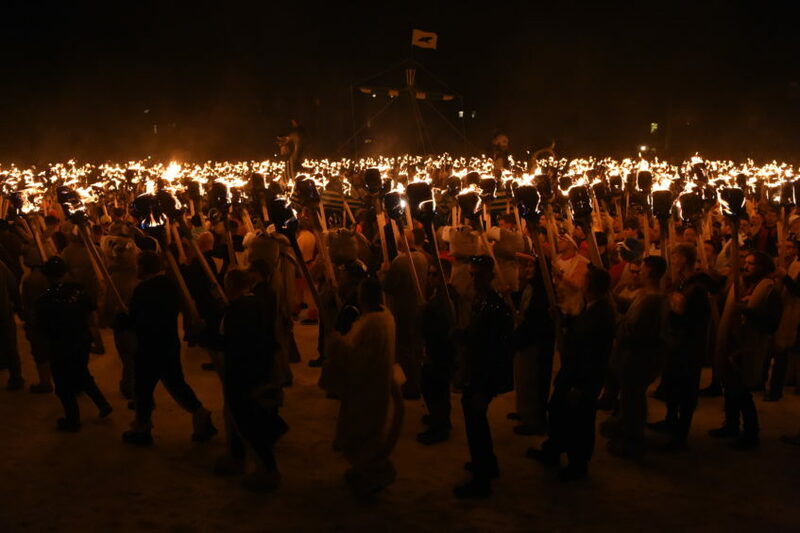 Special constables were employed to try and prevent these activities, however squad members simply dressed in sacks to disguise themselves and saw this as added excitement. 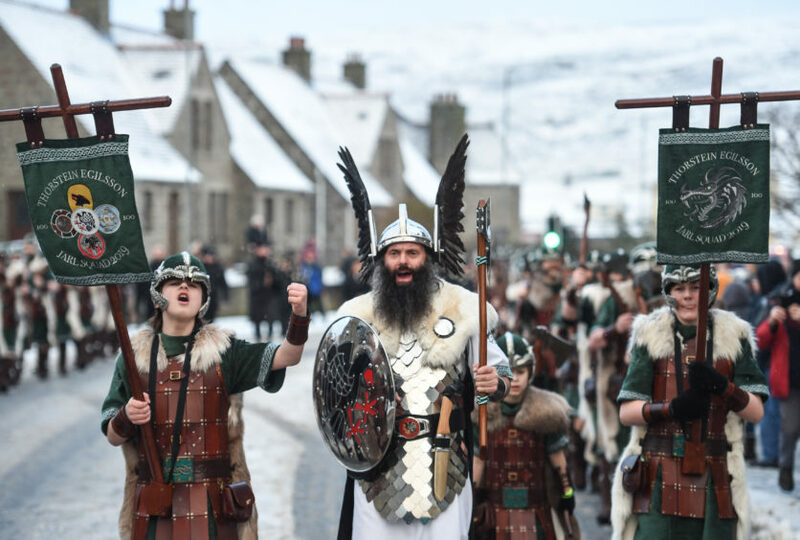 There were frequent spillages and damage caused to homes, resulting in Lerwick’s magistrates attempting to ban them in 1874. 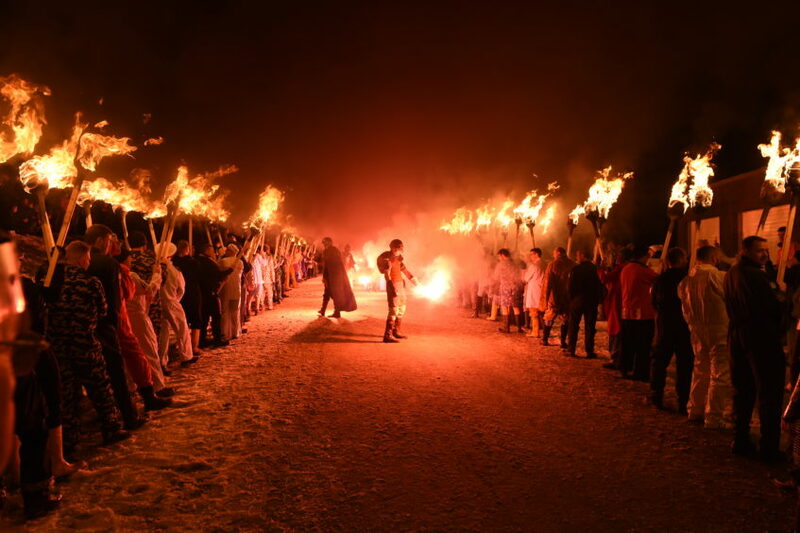 Successfully reducing the use of the barrels, the change enhanced the number of guizers as the town began experimenting with new activities. 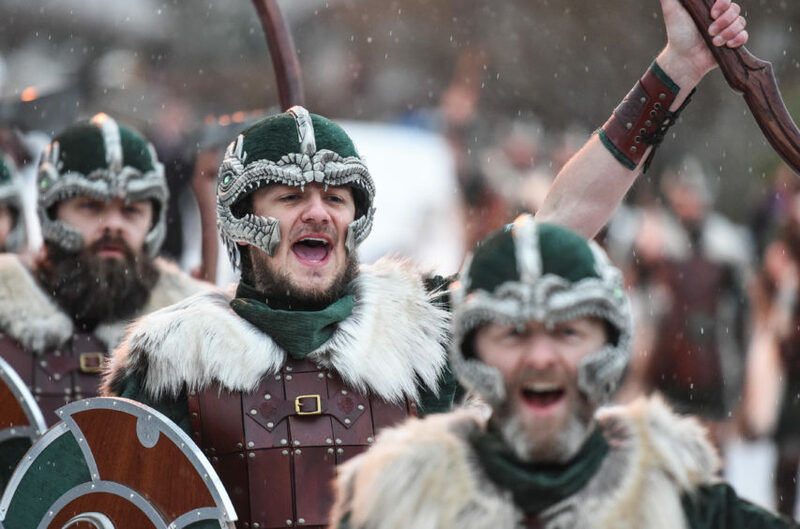 Each squad started dressing collectively under one theme and visiting “open” houses, where the host and hostess invited people to celebrate the occasion and provide refreshments. 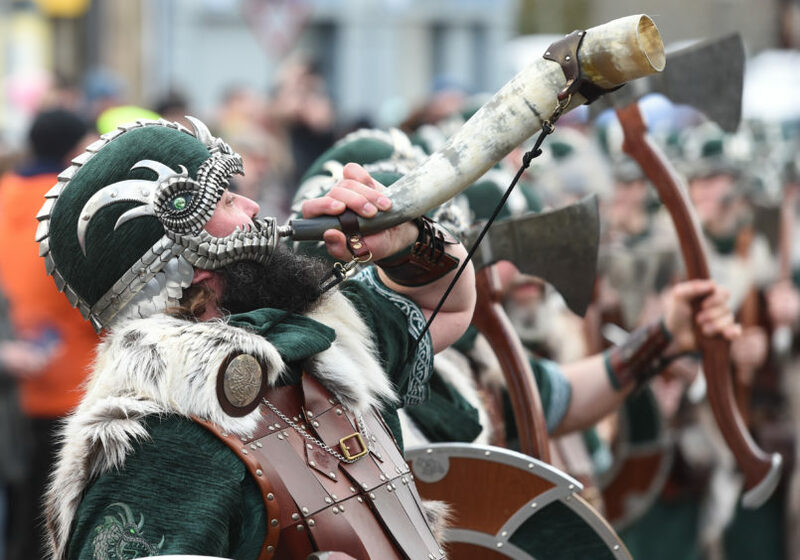 As the Festival grew in popularity with the guizers, “open” houses proved insufficient for their entertainment, and by 1910 halls were being used as well as houses. 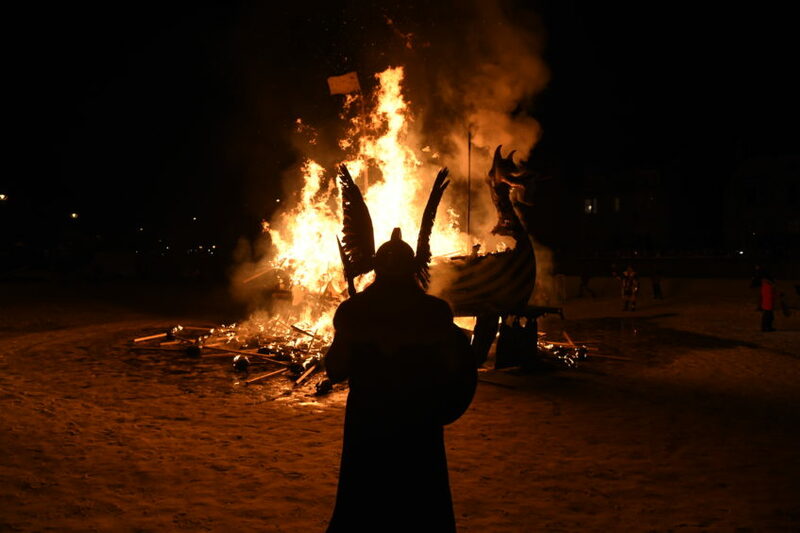 Although the only set in stone Up Helly Aa is Lerwick, there have been a number of occasions that have interrupted proceedings, including the death of Queen Victoria in 1901 and the War years (1915-19 and 1940-48). 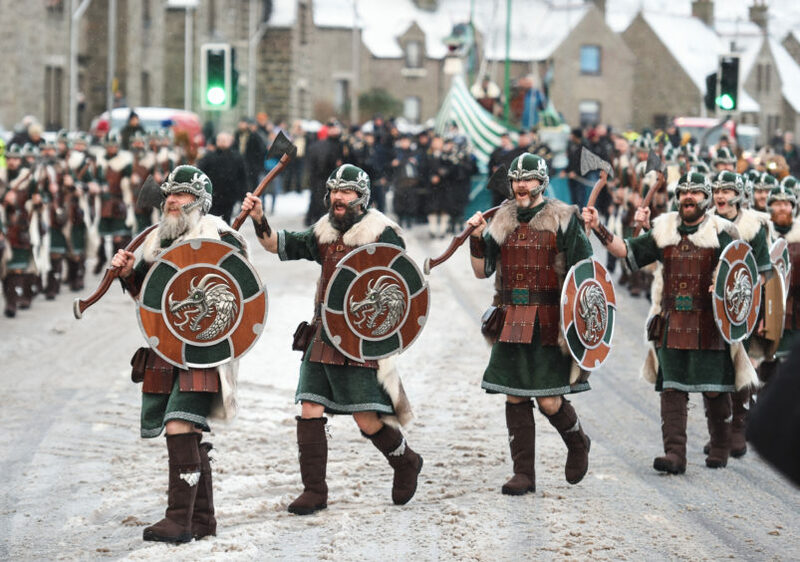 But the other 11 festivals held in and around Shetland have variable dates, and may not happen each year. 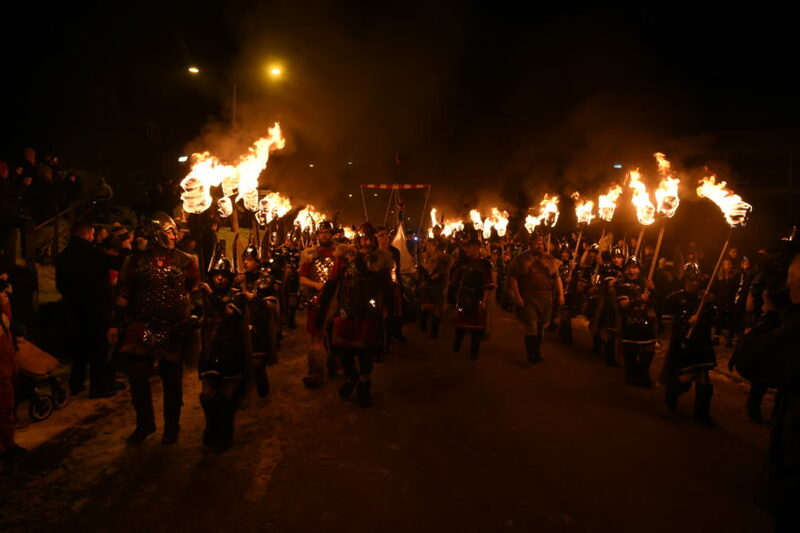 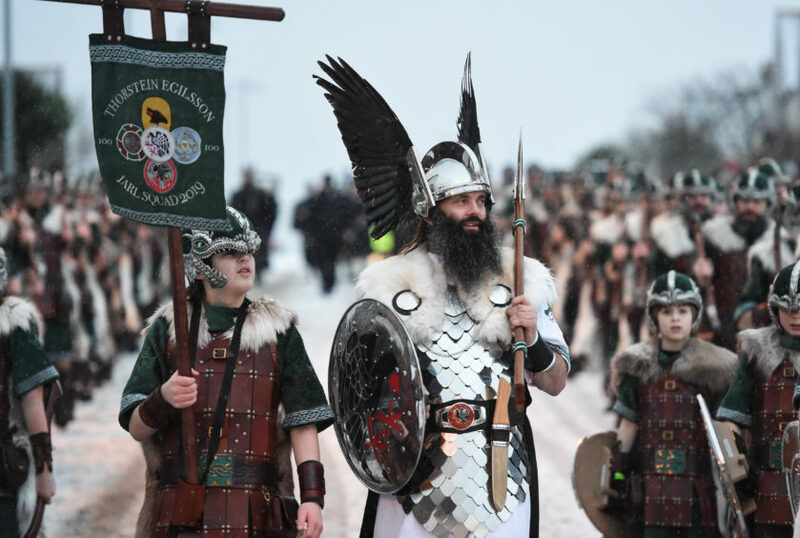 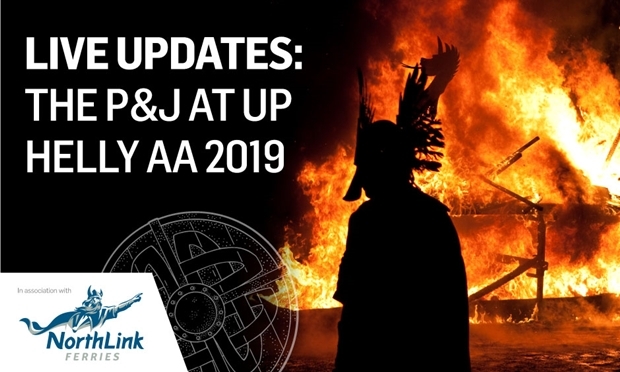 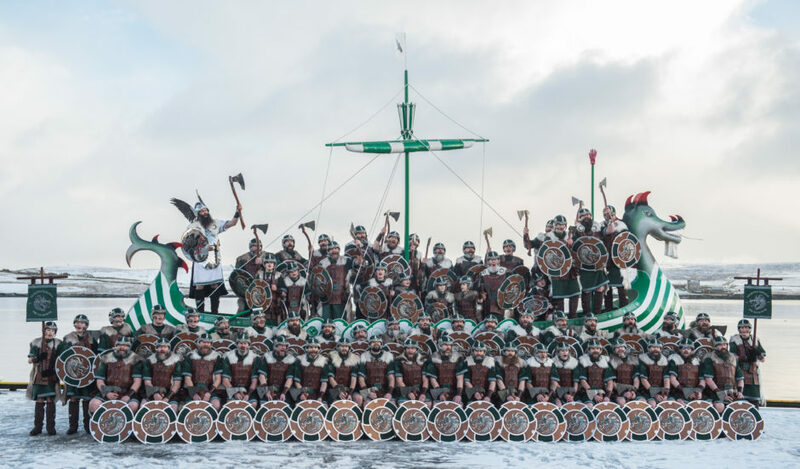 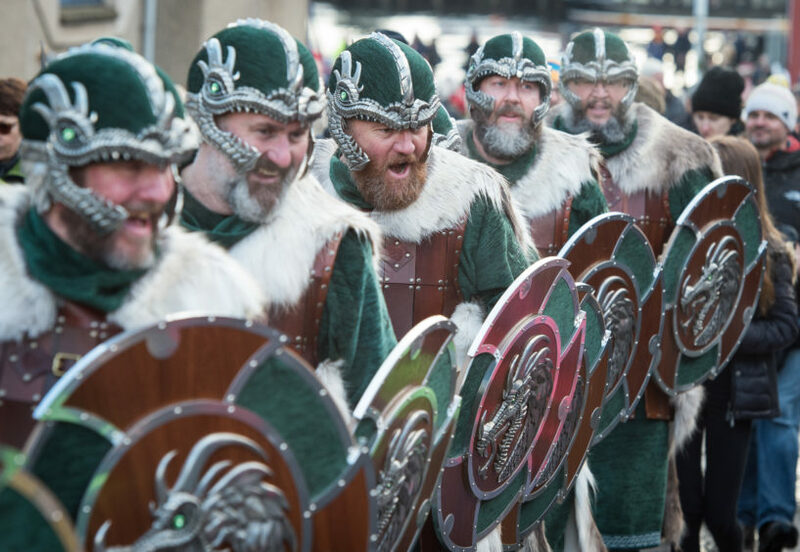 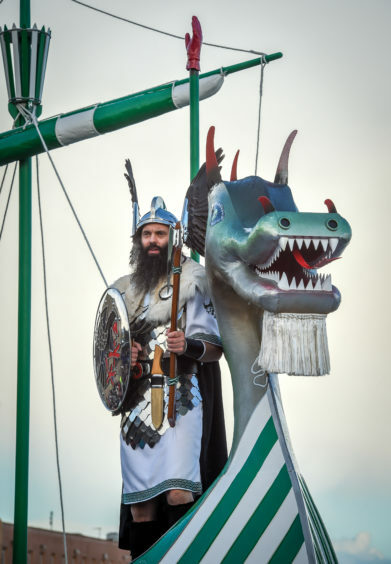 Up Helly Aa has since gone on to level out at around 950 guizers, which is more than triple the amount that took to the streets at the outbreak of the First World War.